Click here to visit our new website. "Fifteen intrepid explorers turned up for today's (20 May) BC Sussex 'Rare Species Landscape Walk', involving the ascent of Mount Heyshott (good views were had by all), a dip into Charlton Forest, and a circuit of the beautiful Graffham Down Trust reserves. 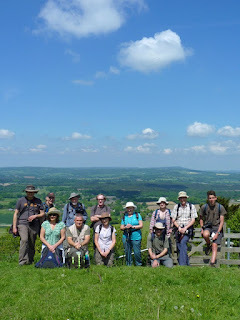 We were out from 10.30 am until 4.30 pm and probably lost a few pounds, but the effort was well worthwhile. I know that others enjoyed it immensely, and for me this was the third in a sequence of truly memorable days out butterflying; already this is a May I'll cherish for a very long time. My thanks to all who attended, and to Will Langdon for keeping the tally (which once listed will go into our database), and for giving up his lunch break to help with the frenetic counting of Dukes! The highlights were undoubtedly 86 Duke of Burgundy and 19 Pearl-bordered Fritillary (we saw both species laying eggs). Other species included Dingy Skipper (very many), Grizzled Skipper (many), Orange-tip, Large White, Small White, Green-veined White, Brimstone, Speckled Wood, Small Heath, Red Admiral, Peacock, Comma, Green Hairstreak, Holly Blue, Brown Argus and Common Blue; a total of 18 species. 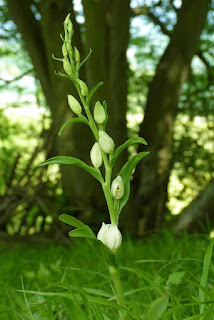 The impressive flora included Fly Orchid (several dozen), White Helleborine (including a whopper) and a few Greater Butterfly Orchid. Will and I later returned to the slopes, to drink in the magic that Heyshott Escarpment provides at this time of year. Most of the Dukes had turned in for the night, but the Duchesses were now out in force. (Neil Hulme)"
The Trust came into being in 1994. Its objectives are to rescue and enhance neglected areas of unimproved chalk downland in the counties of Sussex and Hampshire, revealing their richness in terms of the species of flora and fauna present. 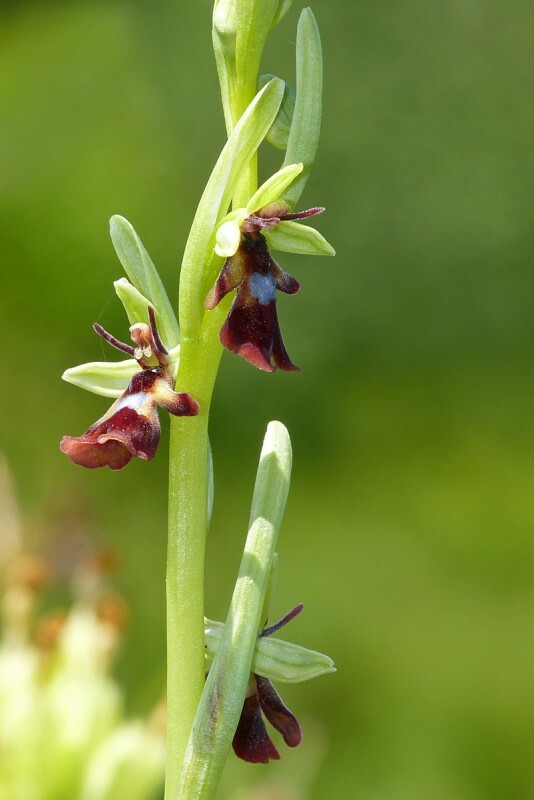 Five reserves are currently under their stewardship. 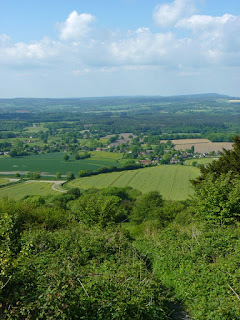 These are Buriton Down (Hampshire), and Under Beacon, The Devil's Jumps, Heyshott Down and Heyshott Escarpment (West Sussex). 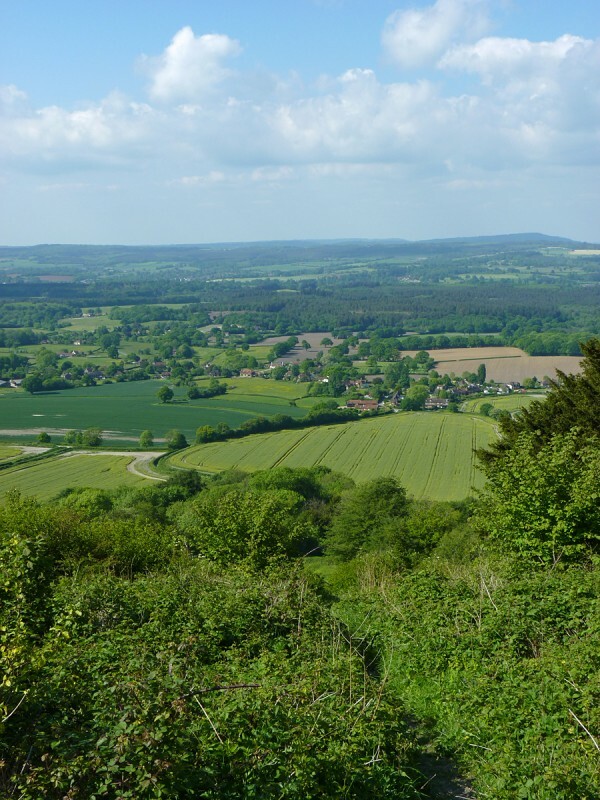 All reserves are located within the South Downs National Park. The Trust also cares for several Scheduled Ancient Monuments within its reserves, including the nationally important Bronze Age barrows and cross dykes on Heyshott Down.